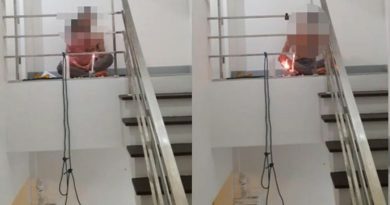 IN a spin off from the tussle between a resident of a luxury condominium on Rama 3 road and Wat Sai temple over monks loudly ringing a bell in the wee hours of the morning, police today (Oct 7, 2018) arrested a South Korean man wanted on fraud charges in his homeland hiding out in this very building, Thai News Agency reported. Pol Maj-Gen Surachet “Big Joke” Hakphan, acting head of the Immigration Bureau, said 5 unit owners were also facing legal action for renting out their units to foreigners and not informing the bureau in accordance with law. 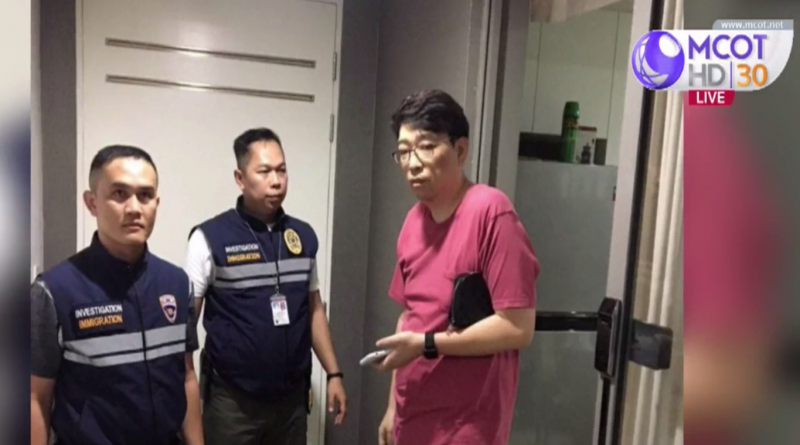 Mr Lee Sung Kin was arrested by Immigration Police in one of the units of this posh condominium on the charges of fleeing 7 fraud cases in his homeland, with the total amount of money involved being 190 million won or around 6 million baht, and hiding out in this country 6 years ago. This arrest arose from one of the residents of this condominium having complained that Wat Sai was ringing the bell very loudly. Although Bang Kholaem district office last Tuesday told the temple to ring the bell more softly, the next day it rescinded the order in the face of public backlash. Pol Maj-Gen Surachet then sent his officers to check the residents of this building and found that 5 owners had rented out their units to foreigners without informing the police according to Immigration Act of BE 2522 (1979) section 38. This states that home or property owners who let foreigners who have been permitted to come and stay in Thailand temporarily live in their premises have to inform Immigration police in 24 hours. 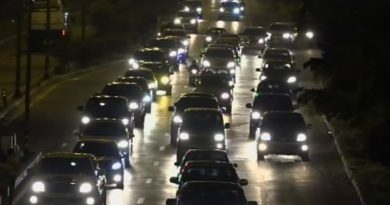 Those not doing so face 2,000 to 10,000 baht fine. Pol Maj Gen Surachet added that Immigration police will be going back again to this condo building for further investigation tomorrow and will also be checking other condominiums as he is certain there are lots of foreigners illegally staying in this country.